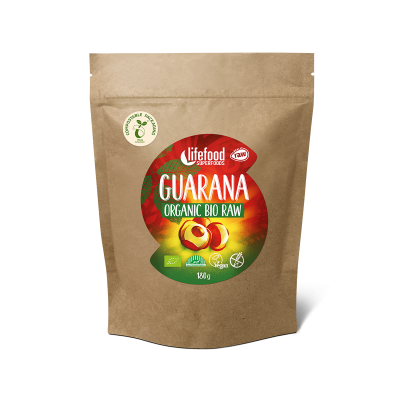 Energizing and stimulating pure powder of Brazilian guarana seeds. Guarana (Paullinia cupana) is an Amazonian climbing plant whose seeds are a concentrated source of natural caffeine called "guaranin". As per a long Amerindian tradition, Guarana can be added to drinks. Fine Milled Guarana Seeds (Paullinia Cupana)* (100 %). 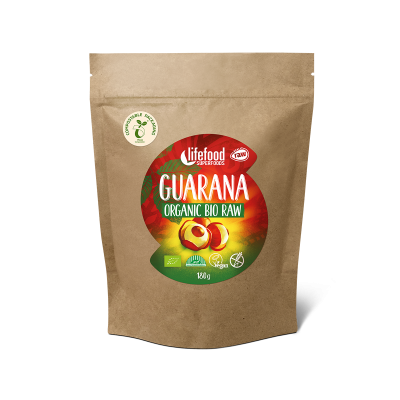 1,5 teaspoon (3 g) of guarana match one cup of strong coffee based on the caffeine content (around 110 mg). Initially, it is recommended to start with ½ teaspoon a day. Should not be used as a meal replacement.